Baltimore’s top prosecutor recently announced that her office will no longer prosecute marijuana possession in the city effective immediately, and additionally will vacate nearly 5,000 prior possession cases dating back to 2011. The announcement, which was posted on the Baltimore City State’s Attorney’s website has already generated national headlines. Both CNN and the New York Times have published articles about the announcement, and local news stations were on hand to televise a follow-up press conference. The 39-year old chief prosecutor stated that pursuing marijuana possession cases offers no public safety value, erodes public trust and diverts valuable police resources away from more important cases. Additionally she stated there is no association between marijuana possession and violent crime, and that these possession cases disproportionally targeted communities of color. 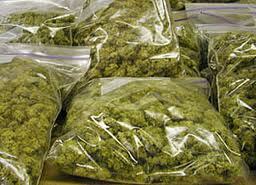 The office will continue to prosecute distribution and possession with intent to distribute marijuana cases as long as there is additional articulable evidence of dealing. Each of these crimes is a felony under Maryland law, but first time offenders in Baltimore City will now be offered diversion and given the opportunity to have their cases dismissed and expunged. While some members of the community lauded the prosecutor’s decision, other government officials didn’t just jump onboard with her plan. In the press conference the prosecutor called on the local law enforcement community to join in and focus their attention and resources on violent crime, but the city’s top cop didn’t bite. The interim police commissioner publicly voiced his disapproval of the State’s Attorney’s plan, and declared that his officers will not be directed to discontinue arresting or citing individuals for possessing marijuana in the city. The interim top cop, who will be replaced in the coming months by an out of state successor, said in no uncertain terms that his officers will continue to enforce state marijuana possession laws. He went on to say that the last thing the city needs is another illegal substance, and added that he and his colleagues absolutely see a link between violent crime and marijuana. The interim commissioner didn’t explain how the two are linked other than to say that his commanders see it all the time in Baltimore. There is little doubt that police officers in Baltimore and throughout Maryland have deemphasized marijuana possession cases. Law enforcement still uses pot as a means to gain access to vehicles and justify searches of a person, but there are fewer possession cases showing up in court. The fact that the interim police commissioner came out so strong so soon against the City State’s Attorney seems more like a defense of the department’s autonomy. The commissioner in essence was stating that no lawyer could tell him and his officers which laws to enforce and which laws to ignore. Logically speaking, there is absolutely no reason why a city cop should charge someone with possession of marijuana if the case won’t be prosecuted. It would be hard to find a worse way to spend tax payer dollars and tie up police resources than to charge someone in a case that will undoubtedly be dismissed, but politicians will be politicians. And speaking of politicians, the Mayor came out with a statement that unsurprisingly supported both sides and avoided offending either. Rather than take a stance the Mayor’s office played politics and stayed neutral. The Blog will continue to follow this story and may post a follow up article in the near future. For now our opinion is that this announcement was long overdue, especially in Baltimore City. The violent crime rate is out of control, and more than half of the city’s murders go unsolved. Law enforcement simply cannot afford to waste more time charging citizens with possession of marijuana, and hopefully by 2020 they won’t be able to anyway. If you have been charged or are being investigated for any crime in Maryland, including possession with intent to distribute marijuana or simple possession of any type of controlled dangerous substance contact criminal defense attorney Benjamin Herbst at 410-207-2598. Benjamin offers free consultations and is available seven days a week to speak about your case. Baltimore prosecutors will not longer prosecute marijuana possession, wbaltv.com.